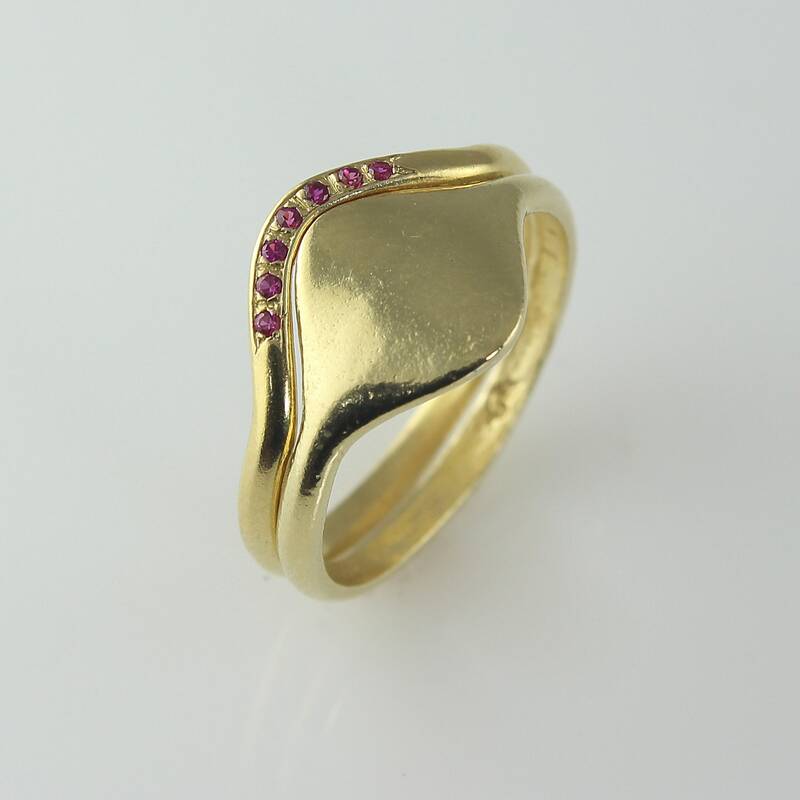 Ruby Wedding Band Set , Gold Wedding Set. This delicate and elegant set of engagement and wedding rings includes an engagement ring in the shape of a gentle wave, set with 7 small rubys. The smooth wedding ring has a delicate surface at its center. While each ring canbe elegant and decorative on its own,wearing both of them together transforms the set into a stylish and very outstanding creation. ♦ 14 Rubys, 1 mm each.